The ancient and characterful West Riding village of Heptonstall, said to be one of West Yorkshire's best kept secrets, is situated on a steep hill to the north west of the town of Hebden Bridge and lies on the route of the Calderdale Way, a 50 miles circular walk around the hills and valleys of Calderdale. 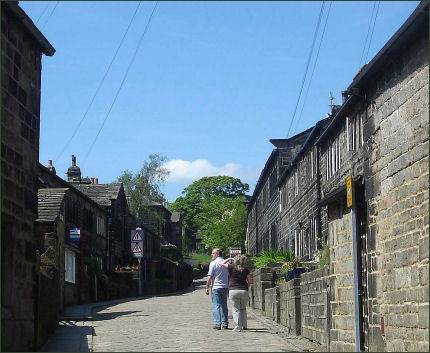 The village was once a centre for hand-loom weaving, its cottages and terraced houses are characterised by large first floor windows to maximise the light for weaving, a reminder of the days when weavers worked at home. Weavers Square lies at the centre of the village, where occasional events held there. Most notable of these is the Pace Egg Play which is held on Good Friday. David Hartley, "King of the Cragg Vale Coiners", is buried near the porch of the old church, he was founder of the Cragg Coiners and lived as a rogue in the Calderdale area until he was hanged at Tyburn near York in 1770 for taking clippings from gold coins and using them to make conterfeit coins. 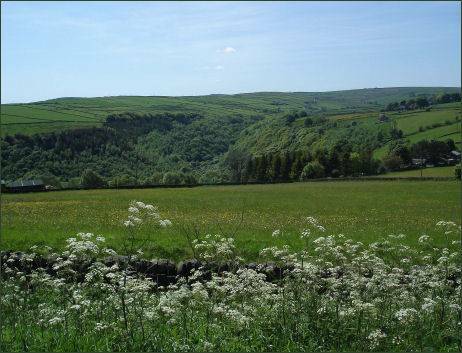 Heptonstall, which supported the Parliamentarian cause during the Civil War, was the site of a battle in 1643. 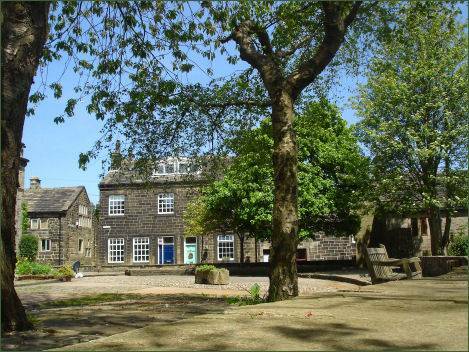 The foundation stone of Heptonstall's octagonal Methodist chapel, the oldest still in continued use, was laid following the visit of John Wesley in 1764 and he subsequentley preached there on several occasions. The oldest house in Heptonstall is Stag Cottage, which dates to circa 1580 and stands in a small courtyard known as Stag Fold. At the back of the cottage, on the level of the public car park, is the doorway to the "dungeon", once used as a lock-up. Nearby there is the pinfold, built to hold livestock but now popular as a picnic area. 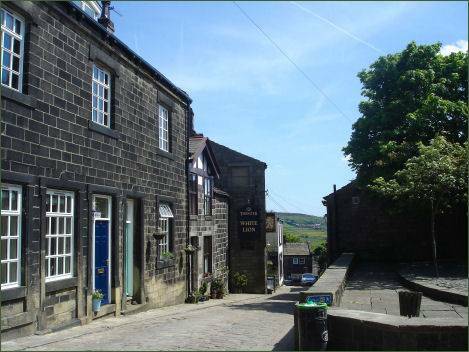 Heptonstall museum is situated in the centre of the ancient village, in the Old Grammar School Building at Church Yard Bottom. 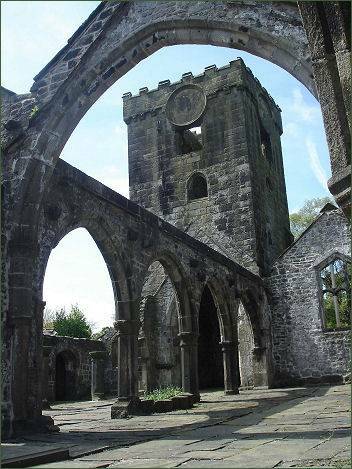 It was endowed in 1641 and closed in 1889. 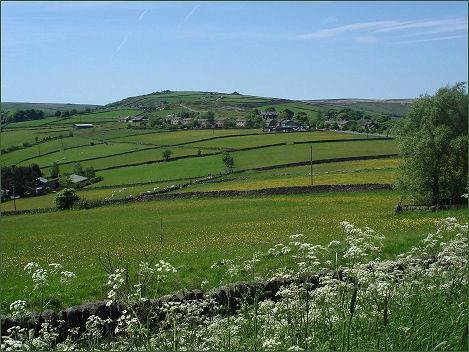 The displays focus on the changing importance of the village from prehistoric times to the present day and cover the compelling story of the infamous Cragg Vale Coiners and Heptonstall's part in the English Civil War. 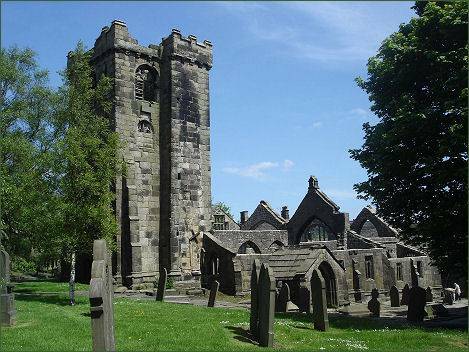 Heptonstall's old parish church was erected between 1256 and 1260 and was dedicated to Thomas a Becket who was murdered in 1170 on the orders of the first Plantagenet king, Henry II and became a popular symbol of resistance to state authority. The building was altered and added to over the proceeding centuries. 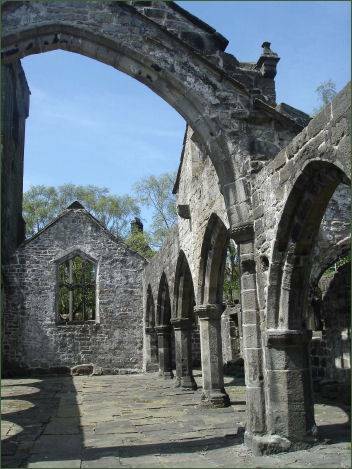 The church was damaged by a gale in 1847, and is now stands only as a shell. A new church, St Thomas the Apostle, was built just a short distance to the west of the ruins of the old church, occupying the same churchyard. The American poet Sylvia Plath, who was married to the former Poet Laureate Ted Hughes from nearby Mytholmroyd, is buried in the new St. Thomas a' Becket's churchyard.